Protein is essential for life. We all need sufficient amounts of protein! Protein is broken down into what’s called amino acids. These amino acids are used in our bodies for tons of different processes including hormone production, repairing and building muscle, and protecting our immune system. Vegans especially need to monitor their diet and make sure they are getting sufficient amounts vegan protein since they are more likely to be deficient. Many vegan proteins, sourced from plants, are complete proteins. This means that they contain all of the essential amino acids, or amino acids that the body cannot produce. Since Vegans don’t eat meat or animal products, they must get their protein from plant-based sources. Many of these sources are considered complete, meaning they contain all of the essential amino acids, while a few are not complete. It’s important that vegans get a variety of these vegan protein sources so they can get all essential amino acids. If one source of protein is not complete, like black beans, they can pair it with another food to create a complete protein, like adding rice. If vegans struggle to get their protein from whole food sources, they can incorporate a vegan protein shake to help fill in any gaps. Vegan protein shakes are sourced completely from plant-based proteins and are typically free from chemicals, artificial ingredients, or sweeteners. They make a great addition to the diet because they can provide a source of complete protein. IdealRaw Organic Protein is an excellent vegan protein powder option. Sourced from seven different plant-based and vegan protein sources, it contains all of the essential amino acids. 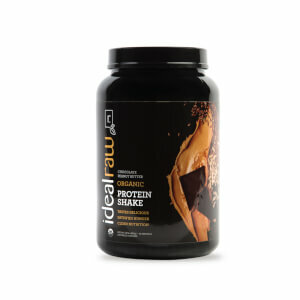 IdealRaw has a smooth, creamy taste, unlike many vegan protein powders. It’s made with USDA approved organic ingredients and contains nothing artificial. It’s sweetened with organic stevia and uses real and natural flavors. 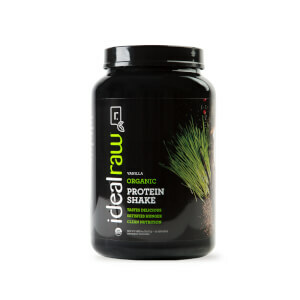 IdealRaw Organic Protein has around 120-140 calories per serving and 15g of pure vegan protein. It also contains a superfood blend of various fruits and veggies like pomegranate, wheat grass, and beets for added nutritional value. Get IdealRaw vegan protein in six delicious flavors including chocolate, vanilla, mocha, chocolate peanut butter, banana almond, and superberry. 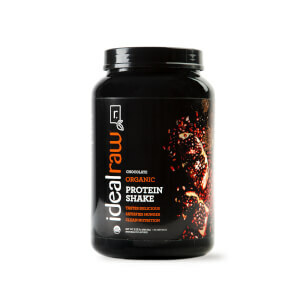 Why Should I Use a Vegan Protein Powder Like IdealRaw Protein?